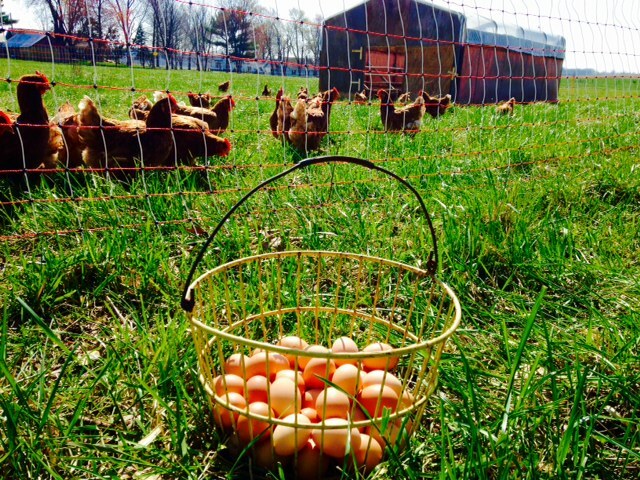 Eggs from chickens living and feeding on pasture. Hens are supplemented with non GMO grain soaked in skim milk, whey and buttermilk. Hens also have access to non GMO layer mash and minerals.